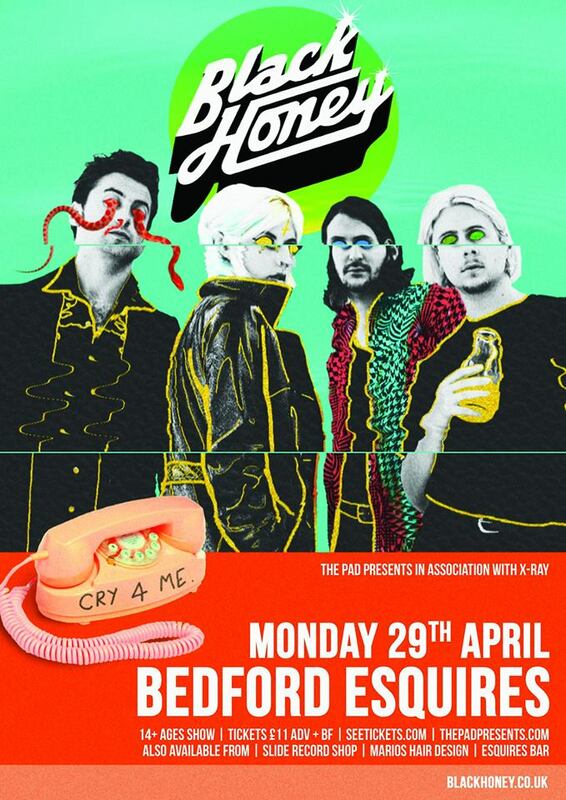 We are thrilled to announce that Black Honey are returning to Esquires at the end of April as part of a small run of intimate shows around the UK. Coming off the back of their critically acclaimed debut album, Black Honey are eager to get back out and invite people into their weird and wonderful world. Lead by Izzy B Phillips with her lovable but villainous, Milky-Bar-kid-meets-Debbie Harry persona the band have built up an incredible demand for their live shows, upping the ante with each tour. Last year ended with a packed-out headline gig at Electric Ballroom in London followed by supporting Wolf Alice at Brixton Academy. They’re heading more rural this time playing some of their favourite venues as well as brand new places and festivals in Europe. They will be performing tracks from their album which is a collage of chaos, shot straight at the heart – honest, inspiring and deeply infectious. Also available from Slide Record Shop, Esquires & Marios Hair Design.